Do you see what time it is? He really loves me! I can't wait for it to get cooler in a couple of days. It was 92 here today, practically unheard of for mid-September, but in two days it is supposed to get cooler. I have spent the last couple of days perusing the newest JCREW catalog to figure out what sweaters I want to order. I can't wait to start making (and eating!) pumpkin pie and pumpkin bread, to plan our Halloween costumes, and drive down streets made beautiful with gold and flaming red trees. 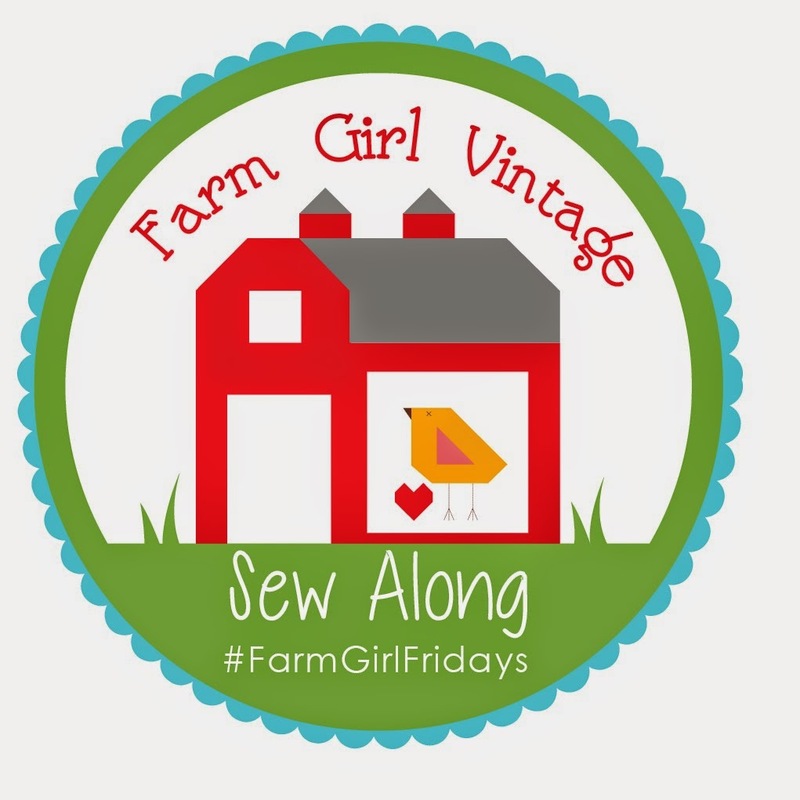 Here are a couple of projects to help set the mood... happy crafting! A fun project to do with your children. Tutorial for this festive banner here. The tutorial calls for sewing the letters to the paper, but non-sewers could use fusible interfacing to make them! An adorable yoyo garland from portabellopixie. 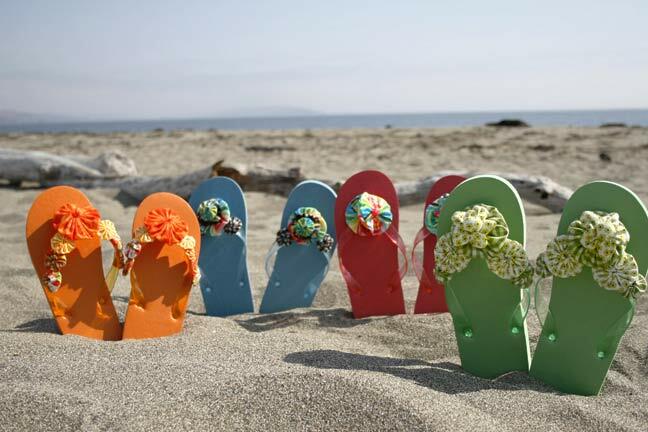 For those of you in warmer climates... yoyo flip-flops! This evening for Family Home Evening we went to Bama and Pa's condo to help clean it out before the closing in two weeks. We felt a little like burglars, sneaking in when the owners were away, but of course, we had permission. Elliott cleaned out the food cupboard, and was putting away all the boxed goods we gained, including lots of cereal. He discovered we are now the proud owners of 34 boxes of cereal. You are all invited for breakfast tomorrow! Anyone who has never made a quilt, but always wanted to, should definitely give it a whirl with a pretty, simple little doll quilt. Sew some fabric pieces together to make a top, and then check out smallfox's great machine quilting tutorial. If you prefer to handquilt, there are tutorials with good pictures located here and here. Heather Bailey's beautiful site has lots of inspiring eye-candy, and also a great tutorial on how to bind your quilt. Log cabin style with embroidery in the center... too cute! Machine quilting runs perpendicular to the strips in this quilt. What could be simpler or more charming? 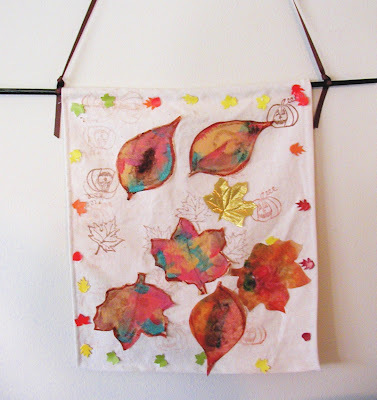 This one is a little different, with applique. It has a nice vintage feel to it. * Photos courtesy of some very talented people on flickr! This swap has been moved here. Okay, this is totally going to remind me that I only have 5 readers of my blog, but my mailbox is lonely, and I am tired of waiting for someone I know to host a doll quilt swap, so I am doing it myself! 1. The quilt must measure between 18 inches square and 24 inches square, although it can also be a rectangle that fits in those measurements. 2. Please use natural fibers in the construction of this quilt (like cotton or wool). 3. Pieced, applique, or wholecloth, you decide. Quilted by hand or machine, and bound. Feel free to embellish your heart away if you desire. 4. Include a label on the back for posterity's sake, including your name and the date, at the least. I am setting a mailing deadline of Nov. 7, 2007. This should give us a little bit of time after the Halloween rush, but before Thanksgiving and Christmas. Please leave a comment (in case I don't get the email for some reason), and email me with your name, email address, blog address, and your snail mail address too! Please do not sign up if you will be unable to fulfill the commitment. But really, this is a wee little quilt! September 28 - Sign-up deadline! I will email you the info on who you are creating for by October 1st. October 15 - please post a sneak peek (this could be just the chosen fabric, or the quilt under construction) on your blog. November 6 - Pictures, please... of the back of the quilt! We want the front to be a surprise when we open it, right? November 7 - Packages (with quilts in them!) must be postmarked by this date. Edited to add: In your email, please let me know what a couple of your favorite fabric lines or styles are, so I can match you with people that have similar taste. Thanks! Yesterday Emma and I were walking through the mall, and she stopped to look at a display she liked. A salesman at a travel kiosk near us got my attention, and asked me if I wanted to go to a Colts game, or on vacation anywhere. I politely said I wasn't interested, at which point he asked if I wanted to go on vacation to Ft. Lauderdale or Las Vegas. I was so shocked that before I could even think about it I said, "Florida and Las Vegas are the last places in the United States I want to visit." Hehehe, poor guy, he was a little shocked as I walked away. But seriously? Las Vegas or Fort Lauderdale? I forgot to download Cleo's camera onto my computer before she left, so hopefully she will get those uploaded soon and I can post more, but here are a couple more highlights from our week with the fam! Andrew was very excited to have grandma at our house. They share a love of bugs, and took care of two praying mantis' while she was here. A rare moment when Sophie let someone other than her mother hold her. She isn't normally a clingy baby, but she was feeling really sick due to a cold, and was overwhelmed by all the people she hadn't met before (Hugh and Charles) or seen often, so she didn't warm up to anyone until the last day they were here! Andrew and Elliott before the baptism. It was a fun baptism. It was all family and friends, nothing too fancy, so we had a relaxed time. It is hard to believe I have an 8 year old. Time has flown by! He is a great kid. Emma is obsessed with butterflies at the moment. She wants to get one as a pet. I thought a trip to the butterfly exhibit at White River gardens would be a good substitute. Elliott caught this butterfly mid-drink. Emma and Andrew viewed the chrysalis. They looked like little tiny bats to me. After the butterfly exhibit we walked around and enjoyed the beauty of the gardens. Sophie really loved it, as you can tell! Ethan was terrified of the butterflies, but he had fun walking in the garden. Andrew clowning around with a frog. His teacher at school LOVES frogs, so we will make this into a card for her. Grandpa got into the act too! and become a part of the statuary! I haven't really felt like quilting since I got pregnant with Sophie, more than a year and a half ago. I finally am starting to get back into it with the fervor I once had! However, I have definitely changed my methods. I used to enjoy designing my own quilts from scratch... choosing a block i liked, a couple of fabrics I liked, and then designing a complete quilt around that, adding in new and stashed fabrics. That methodology is very time intensive, and I just don't have the time to do that right now. I am quite happy to make patterns exactly as the designer made them, and using complete fabric lines, without adding in any other fabrics. Brainless quilt making, and quick satisfaction! Mom just took my Freshcut quilt top home with her to quilt for me. I didn't get a picture of it before it went to California, but I am happy with how it turned out. and am in the process of piecing a "split-rail fence" quilt. All rectangles and squares, not too hard to deal with. Anyway, I just remembered I titled this post as a tutorial, so check out this blog post. to see what kind of bat you are most like. Yep, Dad, I'm a spotted bat too!